Major Sardar Malkit Singh Brar hailed from Alamwala in Faridkot district of Punjab. 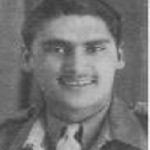 Son of Shri Inder Singh, Maj Malkit Singh was born on 15th August 1918. Maj Malkit Singh completed his schooling in Malwa Khalsa High School in Ludhiana and graduated from D M College in Moga. Later he joined the Indian Army and was commissioned into the Kumaon Regiment as 2nd Lt on 1st January 1941. By 1948, he had put in about 7 years of service in the Army and evolved into a disciplined and committed soldier. He was a fine soldier and an officer par excellence who soon got promoted to the rank of a Major. During Feb 1948, Maj Malkit Singh’s unit was deployed in Poonch sector of J & K. The war with Pakistan which started in Oct 1947, was still continuing and his unit was playing a key role in the Poonch sector. During Feb 1948, Major SMS Brar’s unit was deployed in the Poonch sector in J & K and was engaged in an intense fight with the enemy forces to capture and hold on to the strategically important ground features. He was commander of B company of his unit and his company had done extremely well under his leadership wherein they had captured some very critical positions from the enemy. However, on 7th Feb with the daybreak at about 10.30 hrs, the enemy directed very heavy automatic fire from three directions on his company with an estimated-strength of about 200 soldiers. The forward post suffered heavy casualties and there were only two men left capable of fighting. At this juncture, Major Brar ran with a Bren gun to the forward post with utter disregard for his personal safety and fired quickly and relentlessly at the advancing enemy forces. This daring action by Maj Brar stopped the enemy’s advance, who ran back and took cover behind the rocks. Thus Major Brar’s most outstanding gallantry saved the injured forward platoon from being overrun and massacred. He went round all the forward posts and collected Bren guns and rifles belonging to the fallen soldiers. 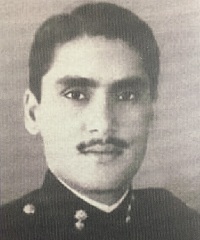 Then despite being critically wounded, Maj Brar personally evacuated most of the injured soldiers from the forward post under very heavy enemy automatic fire. In spite of the orders from the higher command to withdraw, he went on supervising the evacuation of the company’s casualties. During this process, a 3-inch mortar bomb landed very close to him and further wounded him mortally. Maj Malkit Singh succumbed to his injuries and was martyred. For his outstanding gallantry, unyielding fighting spirit and supreme sacrifice Maj Malkit Singh was given the nation’s second highest gallantry award ” Maha Vir Chakra” posthumously. On the night 7/8 February 1948 at Poonch, Major Brar was commanding B Company of his Battalion. Owing to his extremely good leadership the coy captured an important hill feature against heavy opposition of the hostile forces who were entrenched in dug down bunkers. With the daybreak enemy directed very heavy automatic fire from three directions and then launched a determined counter-attack at about 1030 hrs with an estimated strength of about 200. The forward post had suffered heavy casualties by this time and there were only two men capable of fighting. At this junction, Major Brar ran with a Bren gun to the forward post with utter disregard for his personal safety and fired from the hip at the advancing enemy from point-blank range. This wave of fire stopped the hostile forces who ran back and took cover behind the rocks. 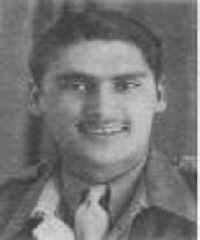 Thus Major Brar’s most outstanding gallantry saved the forward platoon from being overrun. Then despite the wound he had received during this action, Major Brar personally evacuated most of his casualties from the forward post under very heavy enemy automatic fire, and when ordered to withdraw, he on his own initiative went round all the forward posts and collected two Bren guns and five rifles left belonging to the dead. In spite of the orders to go down, he went on supervising the evacuated of the company’s casualties , when a 3 inch mortar bomb landed close to him and further wounded him mortally. Major Brar succumbed to his injuries saying “ Well done B company. Get down, I am all right” , in an example of personal bravery rarely seen. Maj Brar’s devotion to duty was exemplary and his outstanding gallantry is now part of the glorious history of his Battalion. Before the last breath, Major Sardar Malkit Singh Brar said “Well done B Company. Get down, I am all right.” at the very spot where the 3 inch motor bomb exploded.